A city at the forefront of fashion, beauty and nail art. 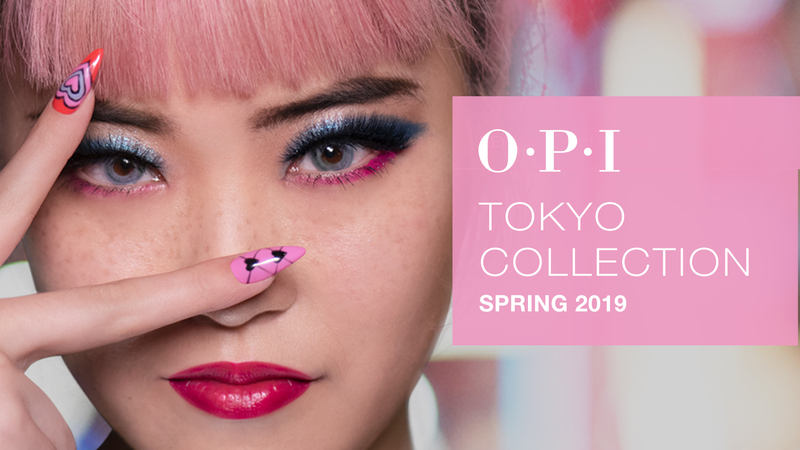 Tokyo's unique balance of rich tradition and nature inspired a variety of nail colors that evoke the eclectic fashion, vibrant nightlife and world-renowned cuisine. From Harajuku girls to incredible street style and more - Tokyo is synonymous with fashion. With our exclusive nail art looks the Tempurature Is Rising. On the front line of beauty this is a vibrant city where being kawaii (cute) is almost a legal requirement, even if Samurai Breaks A Nail. If you want the inside scoop on the hottest new nail trends, where do you look? Tokyo of course. Always ahead of the curve these looks aren't made for wallflowers. A nail artist based in Japan, Mei began her career when she realized she wanted to take art with her everywhere and share her work with everyone. Inspired by Japanese manga, anime and kawaii style, her exclusive nail art looks will light up your tips. Her favourite shades? Rice Rice Baby and All Your Dreams In Vending Machines.